In a private and intimate group of up to 15 people, your private White House as a Home Walk is your chance for a personal walk and talk with an historical figure (actor/interpreter) who actually lived in the White House. Who could be a more delightful and appropriate guide for this walk than Quentin Roosevelt, the youngest child of President Theodore Roosevelt and his wife, Edith. Quentin will give you his own, very personal perspective about what it was really like calling the White House home. Remember, First Families are real people! Be prepared for a lively, personal and up-close experience with Quentin! Note: this private walk does not go into the White House or onto the White House grounds. In addition to serving the country as a museum and being the president’s office, the White House must serve as a home for the First Families. Since 1800 First Families have experienced their time in the White House very differently. Enter President Theodore Roosevelt, his wife Edith and six children ---- Alice, Ted, Kermit, Ethel, Archie and Quentin. Along with them came spirited spitballs hurled with perfect accuracy, a menagerie that would make a zookeeper’s head spin and a father who loved crazy antics with his children almost as much as they did!! The White House was, indeed, the Roosevelt Family's home! 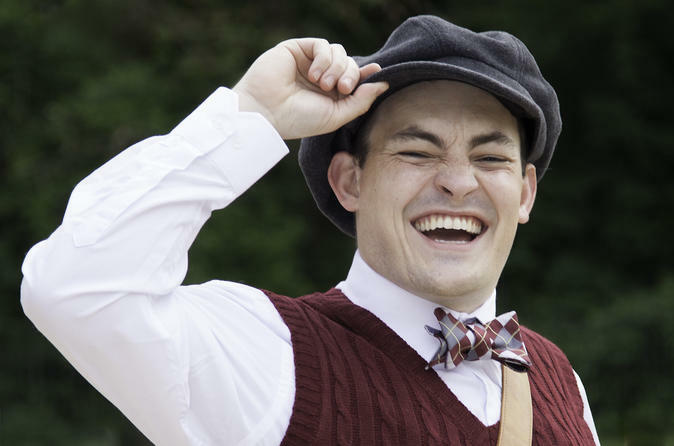 Quentin Roosevelt (an actor/interpreter) will meet you and as you stroll the President’s Neighborhood together, he’ll share memories of his family's days in the White House. If you don’t already know about them, Quentin will tell you all about the White House Gang, his group of friends that considered the attic of the White House their headquarters. This is our favorite walk for families. Quentin is not much more that a child himself. And he arrives with wonderful stories peppered with childish enthusiasm. Note that the walk does not go into the White House or onto the White House grounds. After the walk, you may stop by the White House Visitor Center for more information about the White House as a home.